Ram Charan is busy with Vinaya Vidheya Rama final schedule. Boyapati Sreenu is currently shooting two songs in the movie from December 14th and wraps up shooting on 26th. 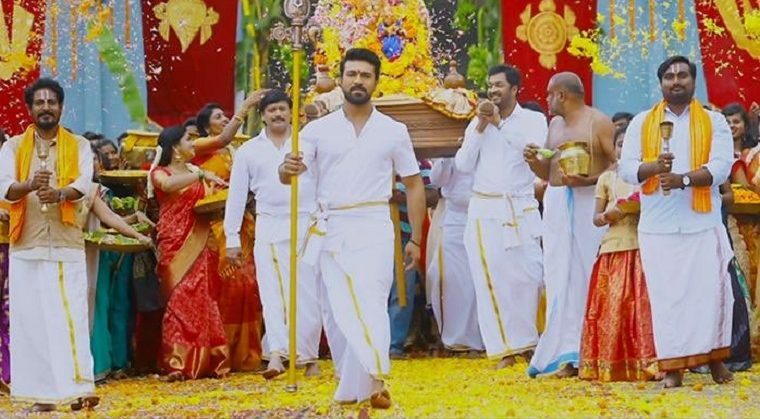 VVR is slated for Sankranthi release and kick-started its promotions. The teaser and first single have got a tremendous response and the makers are releasing its second single soon. However, the pre-release event venue and date is being considered by the movie unit and are in plans of organising it on 4th of January in Police grounds Yusufguda, Hyderabad. There are speculations that NTR will be the chief guest for the Pre-Release event reveals sources. Ram Charan, Kiara Advani are the lead roles in Vinaya Vidheya Rama directed by Boyapati Sreenu and produced by DVV Entertainments banner.